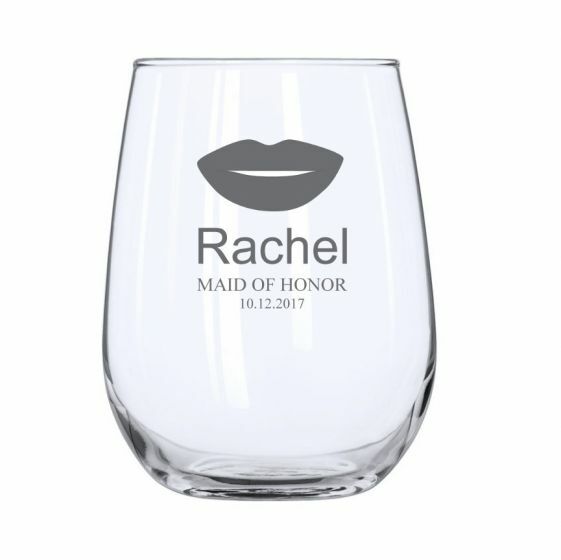 Beautiful Stemless Wine Glasses make for a practical and unique gift for any receiver. Contemporary and versatile, personalised engraved stemless wine glasses celebrates any deserving ocassion in style. Choose to use them for your favourite wine, refreshing drink, or even dessert such as mousse, ice cream, or layered cake, the possibilities are endless. Purchase a set of 4 or 6 as unique house warming gifts. At weddings, celebrate with your bridesmaids, groomsmen, friends and family, or purchase with our Mustache Design to create a set for the happy couple!